When you need quality auto glass, come to the best: Glass Specialty WLC. 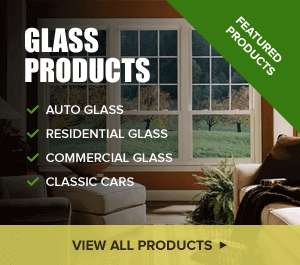 Employing trained and certified glass experts, we serve all of Western Illinois with fast and reliable service. Whether it’s a new windshield you need or a repair, we can help. We know finding a crack or fracture in your auto glass is unpleasant. But when it happens, rely on our experts to address the situation as quickly and efficiently as possible. Pebbles…vandalism…accidents: many things can put cracks in your windshield, from chips to hairline fractures to shatters. If the crack is small, it may just require a repair. If it’s larger or more invasive, total replacement may be needed. Either way, we have the exceptional auto glass Geneseo IL wants. We can come out to your home or business and assess the damage to your windshield. The worst thing you can do is leave the crack alone. It will only spread and get worse, compromising the structural integrity of the glass. Let our pros take care of your problem once and for all. For all your auto glass needs in Geneseo IL, contact Glass Specialty at 309-944-0238 for a free estimate. We are based at 723 E Main Street in Galesburg, IL, open Monday through Friday from 7:30 a.m. to 5 p.m.